Twenty dollars for a ticket to your favorite band? That isn’t so bad! Unfortunately though, the reality may not have been such a bargain. If you bought at Ticketmaster, the final price—at least if you bought in the last decade or so—would quickly double in size because of extra fees before you ever clicked the final purchase button. Carl Schlesinger and Peter LoRe found out that Ticketmaster was unfairly profiting off some of the extra fees such as the “Building/ Facility Charge,” “Convenience Charge,” “Order Processing Charge,” and the price of “UPS Delivery.” As a result, they filed a class action suit against Ticketmaster in 2003—and recently, after 13 years, won their case. The agreement requires Ticketmaster to pay out $42 million to customers over four years and no less than $10.5 million per year. 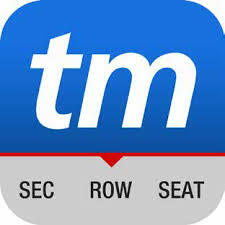 Over the course of last week, Ticketmaster released over $10 million worth of vouchers. If you have a Ticketmaster account, you received an email giving you the choice to opt out of the class action lawsuit. If you did not opt out of this suit, chances are you have free ticket vouchers and some discount codes hiding in your online account. 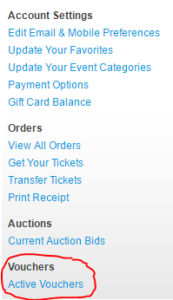 To check if you have tickets, log on to your account on Ticketmaster.com. Scroll down to the bottom of your screen and under “Vouchers,” click on “Active Vouchers.” You can then see how many tickets you have and the codes you will enter to purchase tickets. The list of events in which the vouchers are able to be used for can be located here, however, this is not the final list, so be sure to keep checking back. While this all sounds great on the surface, it may be too good to be true. The first catch is simply that a number of the voucher codes have not been working. Customers have been complaining to Ticketmaster and have been unable to reach customer service because of the large influx of calls they have been receiving. This lawsuit has been 13 years in the making, and yet Ticketmaster seems to have inadequately prepared for it. Another fluke in the settlement is the small number of concerts available to use the tickets on. Put simply, if you are find a concert available, which you are interested and it is near you, you are one of the lucky ones. Many customers have been complaining about the limited list which includes less-notable acts such as a Guns N’ Roses and a Rolling Stones cover band. On the other hand, others can see big names such as Dierks Bentley and Alabama Shakes, but you might have to travel hundreds of miles to see them. Because the vouchers are only available for concerts performed at Ticketmaster’s parent company, Live Nation, venues the list is limited and concerts are only available in 19 states. This is creating outrage with customers, but Ticketmaster is expected to release more acts to the list because the vouchers do not expire until 2020. Lastly, these vouchers can “potentially” be used. Potentially, meaning that despite the four year expiration date, the list of eligible events will sell out and Ticketmaster will not have to release more after they meet their $42 million worth of concerts. The first $10 million worth of tickets, which were released last week, were redeemed in three days and the eligible events have been closed. However, Ticketmaster has stated that they anticipate making additional inventory available this week. As an avid concert-goer, I was beyond excited at the news of free tickets. However, the one concert I was remotely interested in that was close to me, was sold out of voucher tickets by the time I went online. So like many of you, I will be checking back almost daily for the next batch of concerts so my tickets don’t go unused! 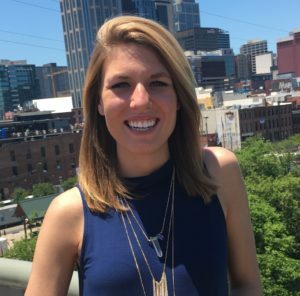 Joan is an intern for the Communications team at TDS and helps write for the blog, social media sites, and much more. She is studying Legal Studies and Journalism at the University of Wisconsin- Madison and will be a senior in the fall. Joan loves to travel and most recently returned from spending five months abroad in Europe where she visited 13 countries.